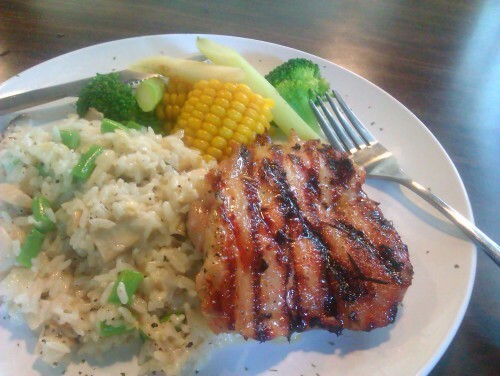 The food is so good, I just keep coming back! It doesn’t look like much from the outside, and although it’s on Xinyi Rd., you’ve probably never passed by this restaurant. 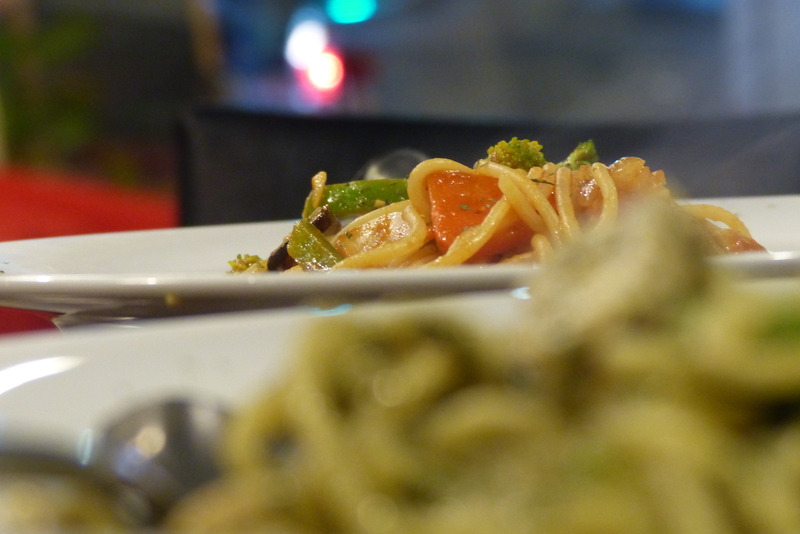 But let me tell you: It is one of the best places I know in Taipei for really delicious (and inexpensive!) Western food. 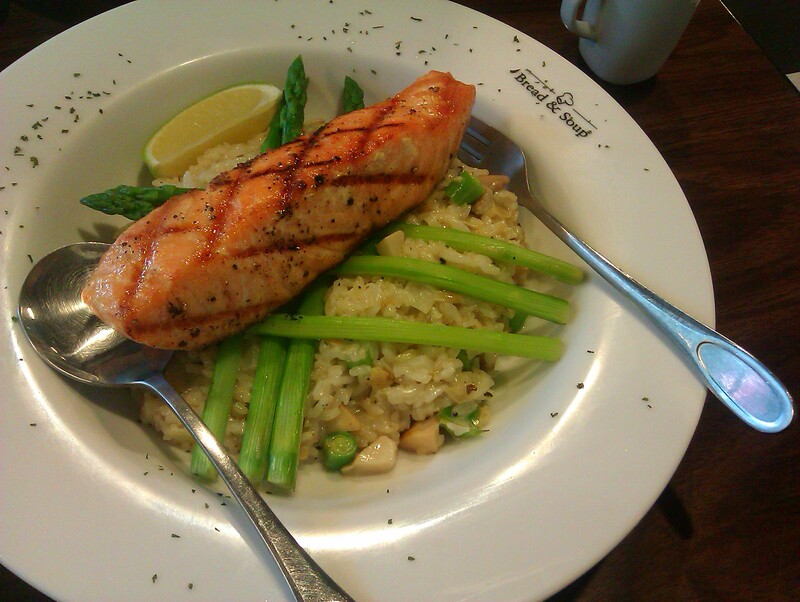 Just take this huge chunk of grilled salmon with asparagus and risotto (烤鮭魚和蘆筍). It really tastes as delicious as it looks. Take a guess, how much is it? It’s NT$420. Including salad, soup, and a drink. And: No 10% „service fee“! 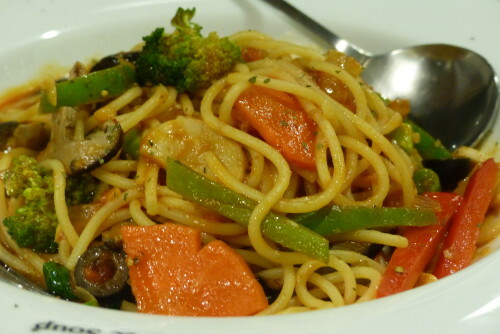 And that is one of the priciest items on the menu of J&J Cafe, a small Western-style restaurant with a dineresque feel to it, located on the eastern end of Xinyi Rd. J&J Cafe is about two kilometers east of Taipei 101 in an area of Taipei that some would call „in the boondocks“. From the outside, it looks similar to many other nondescript Western-style restaurants in Taiwan, serving everthing from coffee to pasta and burgers. Usually, these places cater to a Taiwanese palate and don’t tend to do any dish exceptionally well (just like Chinese restaurants in Germany, which I avoid now). Not in this case! The food at J&J is so good that I find myself coming back time and again. Although I normally don’t hanker for Western food in Taiwan, except for the occasional pizza. It just is this delicious. The chef really knows what he is doing. You can’t go wrong with these vegetarian spaghetti (蔬菜番茄醬麵) for NT$120. Compare that to the usual inflated prices at Western restaurants in Taipei! The interior design at J&J is quite tasteful, although not designer-like, with black-and-white tiles on the floor and a huge collection of Bart Simpson figures in a case on the wall. There’s free Wifi, complimentary water, and a few deep chairs for sipping your coffee, which starts at NT$100 for an Americano. Ask for the homemade cake which – you guessed it – tastes great. 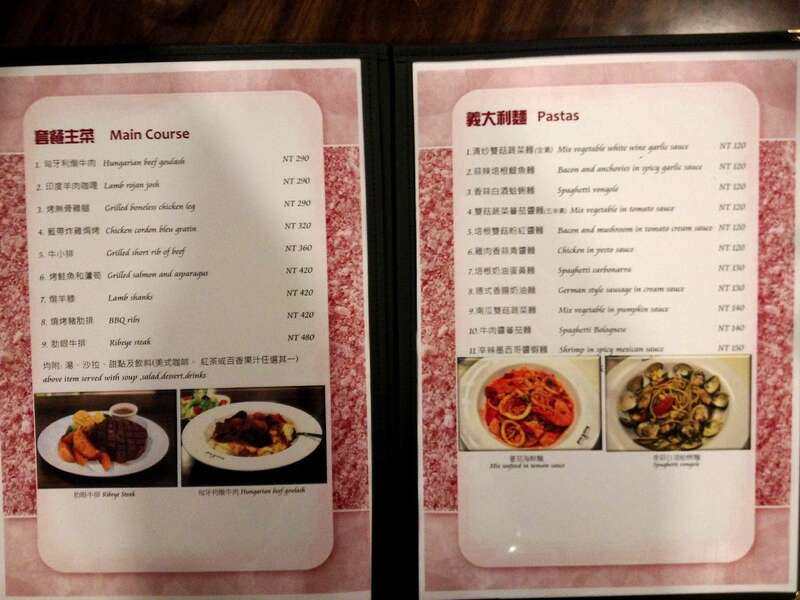 The menu is in Chinese and English as well. I’ve probably eaten here a dozen times by now and I’ve never been disappointed. 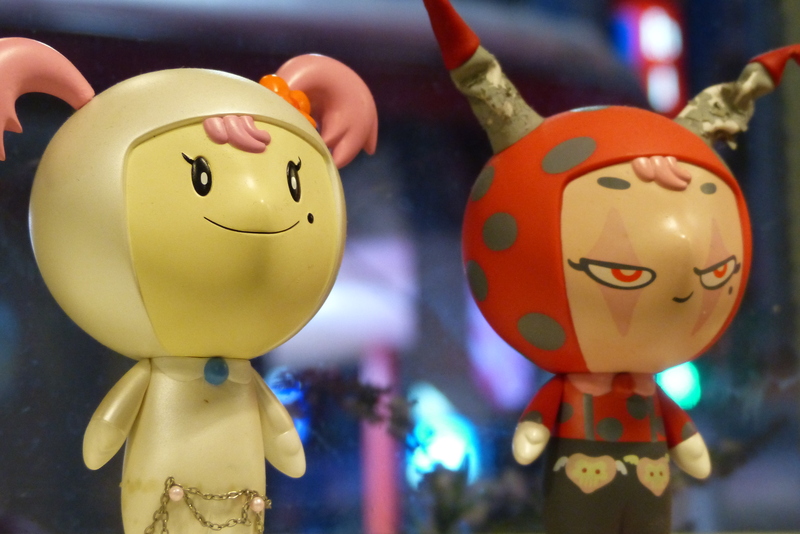 A word about the hamburgers: They are just okay. But then, I am no burger expert, and a hamburger to me does not constitute the quintessential Western meal (that would be Schnitzel with fried potatoes). Just don’t go for the burgers, the other stuff is so much better. Who needs buns or fries when there’s this grilled boneless chicken leg with risotto (烤無骨雞腿) for NT$290? 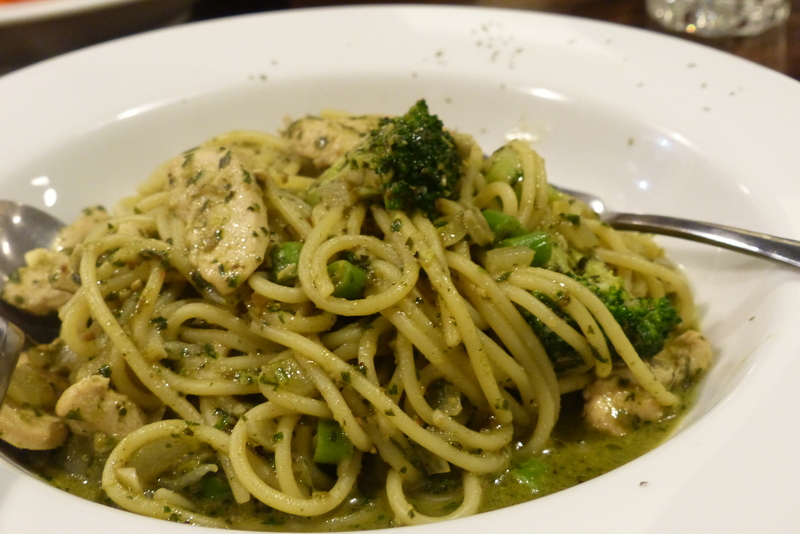 Or NT$120 chicken pesto spaghetti (雞肉香蒜請醬麵) with a decent sauce that is not as watery as what you usually get in Taiwanese „italian noodle“ places. 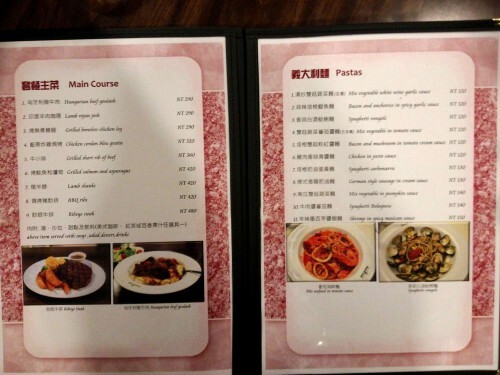 I can also recommend the chili con carne risotto (辣椒肉醬燉飯, NT$150). 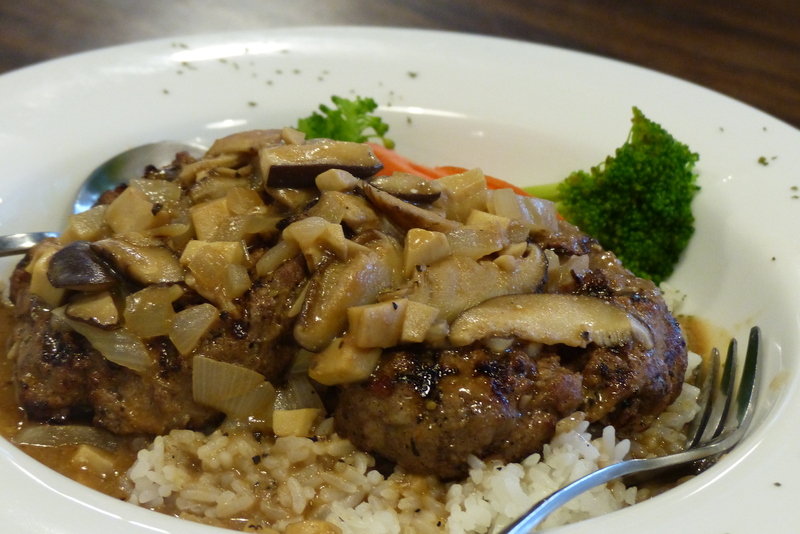 And the beef patties with mushroom sauce and rice (weekends only, set meal, NT$240). 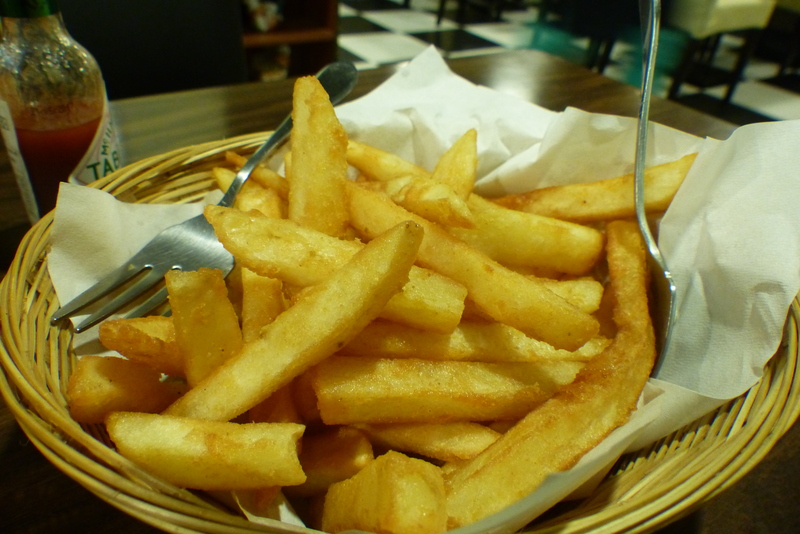 I kid you not: The french fries at J&J (NT$70), crisp to perfection, are the best I’ve had in Taiwan. J&J Cafe tends to be quite busy on weekends, while on a weekday afternoon you may be the only patron. The lady running the place told me that the location apparently is not so ideal, since there are many cheap Taiwanese restaurants in the area. But they signed a two-year contract and will stick with it to see how business develops. They opened the place about a year ago. 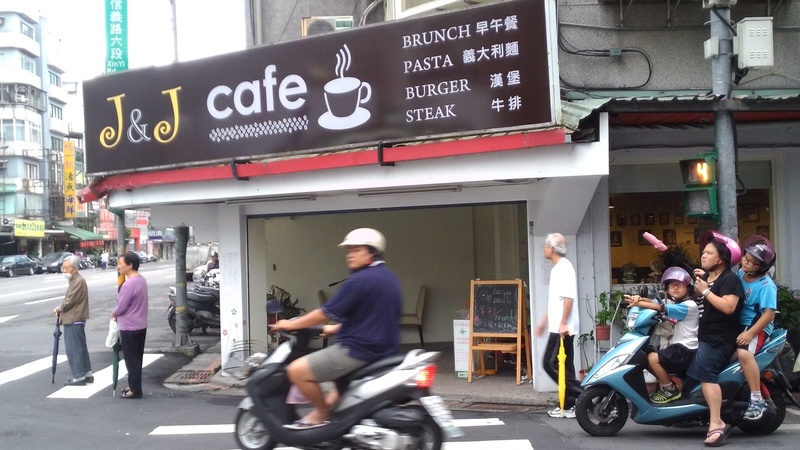 To get to J&J Cafe, just ride your bike or scooter eastward on Xinyi Rd., leave Taipei 101 behind, and go on for about two more kilometers. To go there by bus, take the Xinyi Trunk Line bus (信義幹線, the only line without numbers) anywhere on Xinyi Rd. 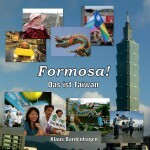 heading east and get off at Songshan Vocational High School (松山商職). Walk back about 100 meters. The restaurant is on your right. Tell me when you’ve been there! What did you have, did you like it? This text has been updated February 2014. I’m in this general area tomorrow with a little time on my hands. I’ll check it out. I didn’t; got sidetracked. Maybe next weekend, it’s on my list for sure. Is this close to Fude Street? Or not that far east? Just west of Fude St., actually. Hi Ann-Katrin, go try it by all means! As for Sauerkraut, you can buy it canned in some German restaurants: Wendel in Tianmu, Oma Ursel on Yongkang St. come to mind. But since you don’t have a kitchen, you’ll probably want to hit a German restaurant directly?